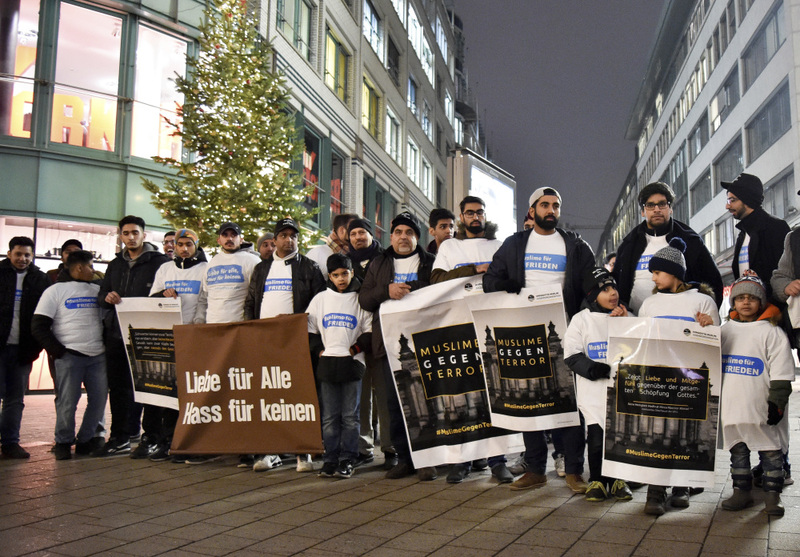 Muslims in Hamburg, Germany, commemorate the victims of Monday's terror attack in Berlin during a vigil Thursday night. Muslims are setting an example of peace with a candlelight vigil and a blood drive. Muslims in Hamburg, Germany, commemorate the victims of Monday’s terror attack in Berlin during a vigil Thursday night. Muslims are setting an example of peace with a candlelight vigil and a blood drive.